The 2019 IPL Auction was an entertaining affair with several players going under the hammer. However, with only around 70 slots to fill, the franchises picked and chose the moments to dip their hands into the market. The highest earners of the day were Jaydev Unadkat and Varun Chakravarthy with the pair fetching INR 8.4 crore each. While the former returned to Rajasthan Royals, the latter would play his debut campaign alongside the likes of R Ashwin and Chris Gayle at Kings XI Punjab. As for the overseas players, Sam Curran and Colin Ingram were bought for INR 7.2 crore and INR 6.4 crore respectively. 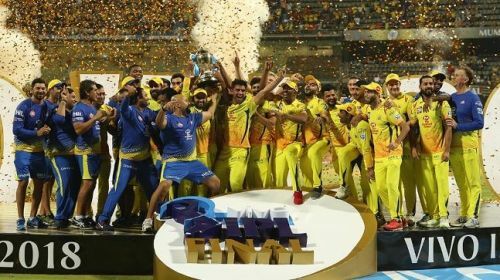 While teams like the Delhi Capitals, Kings XI Punjab and Rajasthan Royals were quite proactive on the day, defending champions Chennai Super Kings had come into the auction with most of their bases covered. The Chennai based outfit had only two slots to fill and got hold of Mohit Sharma and Ruturaj Gaikwad to complete their quota of players. However, with the options on offer, one got the feeling that CSK could just have bought better by turning their attention elsewhere. Through this article, we would look at three players who escaped CSK’s clutches at the auction and why they could’ve been more suited than the ones they eventually gambled on. The batsman from Bengal surprisingly went unsold at the auction. Tiwary has had a decent run in the domestic circuit this season and thus, his failure to attract a bid left a few people scratching their heads. The middle-order batsman represents a sound option in the middle phases of an innings. Capable of accelerating against the spinners, Tiwary would’ve also brought along with him a wealth of experience. At present, Chennai do not boast of any top quality middle order backup batsman and hence, their inaction when Tiwary’s name came out of the hat could be a case of a chance gone begging. Moreover, the lad from Bengal has played under MS Dhoni when the pair were part of the Rising Pune Supergiants. On many an occasion, the duo joined hands to ensure the Pune franchise punched above its weight and put up respectable totals. In addition, Tiwary has improved a lot on his bowling and can be relied to get through an over or two if the premier bowlers are having an off-day. In the end, CSK opted for young blood in Gaikwad yet it could’ve continued its tradition of valuing experience and placing faith in Tiwary. At this juncture, Tiwary is far from finished and always comes out to bat with something to prove to the world. CSK could’ve utilised the fire that exists in his belly to their advantage. However, with CSK deciding to not explore this option, a case could be made for an opportunity missed.